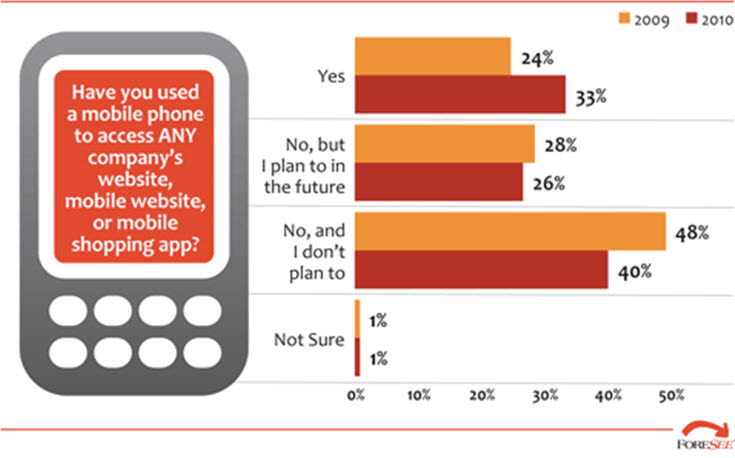 Is your content marketing mobile-friendly? Before you answer, look at these five salient mobile marketing drivers. 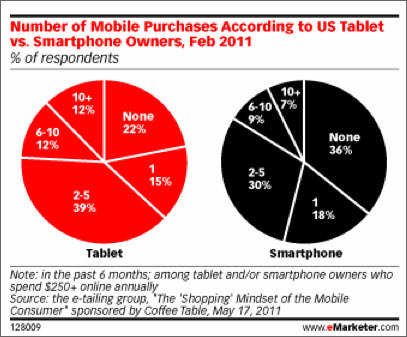 U.S. Smartphone ownership is expected to reach a tipping point in the U.S., according to Nielsen. Since the average U.S. adult spends over 10 hours a day consuming content, according to Ipsos, content marketers should consider where and how users consume content. In particular, information snacking (where users consume content during otherwise wasted time) and time shifting (where consumers read or watch content at different times), are growing trends. For mobile devices, this often translates to information-on-the-go for content consumption in otherwise “wasted” time like commuting. 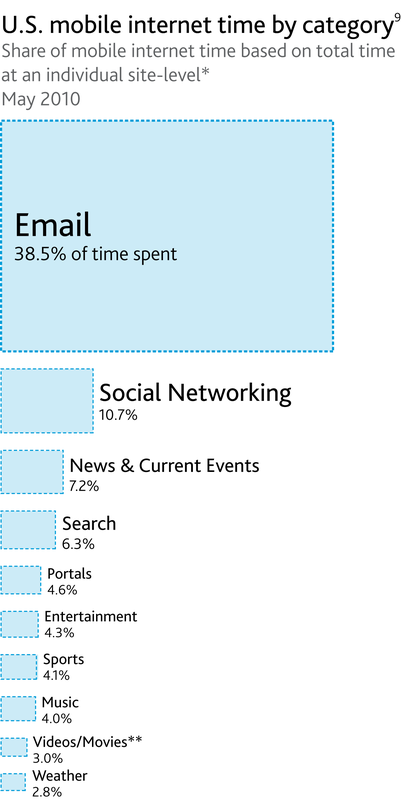 Because people use their mobiles to stay connected, reading email accounts for roughly two out of every five minutes users spend on the mobile web, making it the most popular activity, according to Nielsen. Compare this to computer use where email is the No. 3 activity on computers following social media and games. Roughly half of mobile search has local intent versus 20 percent of Web search, according to SearchEngineLand. This means your mobile search strategy must be different to capture on-the-go users who need information where they are. According to ForeSee research, one in three shoppers used their mobile phones to gather information in a retail store, and about half of shoppers checked on competitors. To reach these mobile consumers, different types of content as well as mobile-friendly formats are needed to provide an optimal experience when and where your users want it. Do you have a plan to make your content mobile-friendly or are you hoping that your web-based content works on other devices? To help you get your mobile content marketing strategy on track, here are six important elements that require mobile optimization. Mobile search helps on-the-go users navigate the mobile web to meet their immediate needs. Because these users have different needs and use different keywords, it’s a good idea to have a separate mobile search budget and plan. You need to think differently about the words you use and the content you serve to this audience. Since website speed and usage differs on a mobile, a mobile website focused on your users’ primary needs is a high priority for content marketers. Your mobile website must load quickly and should be function-oriented, allowing for easy scanning. On a mobile device, less is more. Also, due to the small screen, use larger buttons. Use this granddaddy of mobile communication that doesn’t require a smart phone for time-sensitive information like alerts and sales as well as reaching teens. This text-only (aka SMS) presentation is limited to 160 characters, so good copywriting is needed to keep your message brief and on target. Since email can be handled in small chunks of time and allows employees to stay on top of business developments, it tops mobile Internet use. From a content marketing perspective, optimize email copywriting for the small screen by using short, action-oriented headlines. Since seven out of ten smartphone users download an app, consider creating your own app. The content marketing challenge is how do you provide useful product related content for users on the go? SitorSquat is a great example of how a major brand is providing useful content for consumers who are (quite literally) on the go. Don’t overlook the need to market the app and to get users to continually use it. The pop art squares provide a way to connect offline to online content and communications. For content marketers, QR codes provide an easy solution for linking offline content and buildings to online content, information and/or communications. To determine which mobile elements are most important for your content marketing, start by looking at how mobile has influenced and changed how we consume content. Assess how these traits apply to your target audience and which forms of your content offering need to be adapted for mobile consumption. In your assessment, don’t overlook the need to be where your competitors are. Which aspects of your content marketing have you adapted for mobile consumption and why? Please add your experiences in the comment section below. Want insights on how the most successful content marketers are using techniques like email, mobile content, and more? Read CMI’s eBook: Building the Perfect Content Marketing Mix: Internal Processes and Content Marketing Strategy Tactics.